Our recipe for a roasted red peppers and chorizo tart with herbed buckwheat crust is a great entree for brunch or a light summer supper. There is just enough zing to the spicy chorizo to compliment the roasted red peppers and the creamy filling. 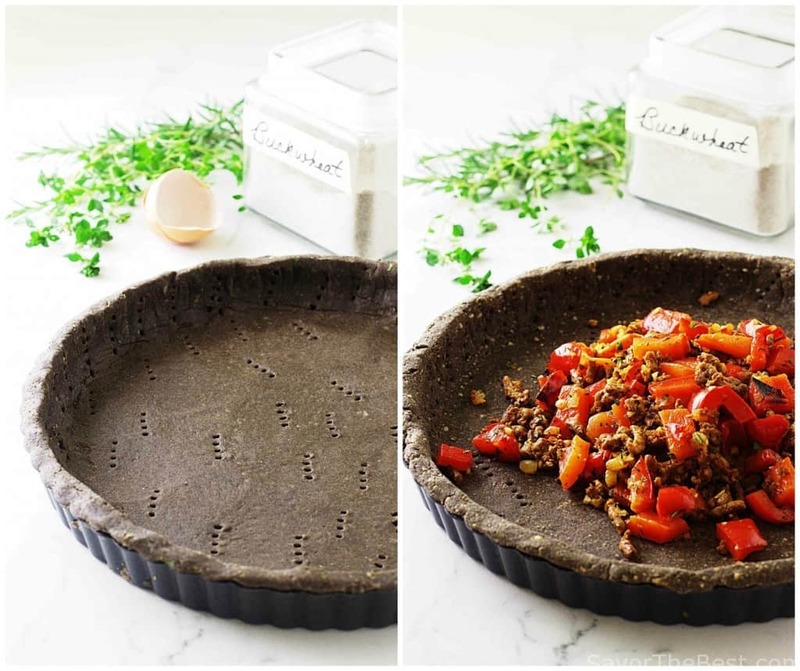 We chose the gluten-free buckwheat flour to make the crust for this roasted red pepper and chorizo tart. I believe that our country has become so adapted to using wheat flours that we forget there are some wonderful alternatives to incorporate into our lives. Buckwheat is one of those ancient grains that gets overlooked in everyday home cooking but has tremendous health and nutritional value. 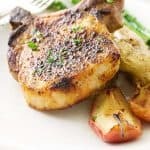 It is low in calories, high in protein and fiber, it has a low glycemic index, plus it is totally gluten free. Although buckwheat is categorized as a grain it is actually a fruit seed that is related to the rhubarb. Buckwheat grain/seeds can be cooked into your morning breakfast just like oat groats and if the seeds are toasted it makes a delicious cereal known as kasha. Buckwheat is also milled into flour and the flour makes all kinds of yummy eating. Soba noodles are well known and those little Russian pancakes known as blinis make wonderful appetizers with smoked salmon and sour cream. In creating the crust for our tart recipe we used buckwheat 100% stone ground flour which is a dark flour and gives the appearance of a chocolate crust. We added some fresh herbs and grated parmesan cheese for additional flavor enhancers and since there isn’t any gluten in buckwheat, the egg and a bit of corn starch keeps it together and gives it a crispiness. We pre-baked the crust and filled it with a layer of the vegetable mix of roasted peppers, chorizo, onions and garlic. For the filling we combined eggs, cream cheese and ricotta cheese, blended it to a creamy texture and poured in over the veggie layer. After sprinkling the top with shredded parmesan cheese we arranged thin slices of red pepper in a decorative pattern and baked it. 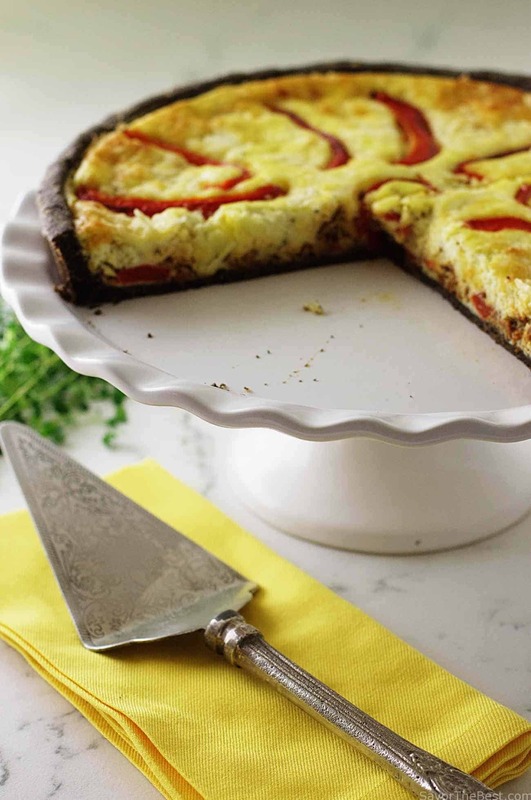 We used buckwheat flour to make the crust for this roasted red pepper and chorizo tart. 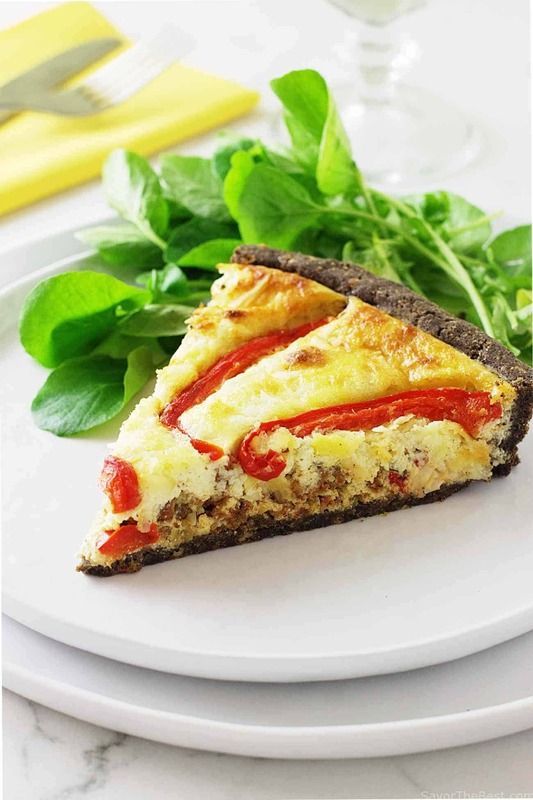 It is filled with a spicy chorizo and roasted red pepper veggie mix and a creamy filling of ricotta and cream cheese. It is topped with shredded parmesan cheese and decorated with roasted red pepper slices. In a food processor, combine the buckwheat flour, corn starch, butter, thyme, rosemary and parmesan cheese. Pulse several times until the mixture looks crumbly. While pulsing, add the beaten egg and the water and pulse until the dough begins to come together. Transfer the pastry to a 11-inch tart pan with a removable bottom and press the dough around the sides and the bottom of the pan. Prick the dough with a fork in several places on the bottom and sides, place on a baking sheet and transfer to the oven. Bake 15 minutes in the preheated oven. Remove and set aside to cool and ready to assemble tart. Cut the red bell peppers in half, discard the seeds and stems. Place them cut side down on a baking sheet, brush with the olive oil and broil them until the skins blister and turns black. Transfer the roasted peppers to a glass bowl and cover with plastic wrap to cool. Peel and discard the charred skins. It is okay if some of the charred skin remains. Cut 4 of the pepper haves into one-inch chunks, slice the 2 remaining halves into lengthwise strips and set them aside for the top of the tart. While the peppers are cooling, heat the oil in a medium size skillet over moderate heat and add the chorizo, cook until lightly browned, about 5 minutes. Push the chorizo to one side of the skillet and add the chopped onion and cook until softened, about 2 minutes. Add the garlic and cook just until fragrant, about 30 seconds. Remove from the heat and stir in the chunks of peppers. Set aside. Add the eggs, salt, pepper, cream cheese, ricotta cheese and milk to the bowl of the food processor or blender. Process until smooth and creamy. 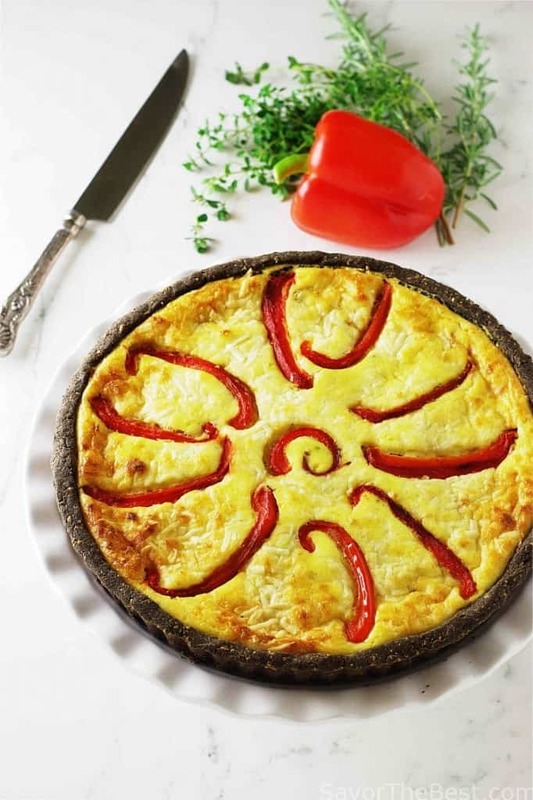 Transfer the pepper-chorizo mixture to the baked tart shell, spreading evenly over the bottom. Pour the egg-cheese mixture over the pepper-chorizo mixture and smooth evenly. Sprinkle the grated parmesan cheese on the top. 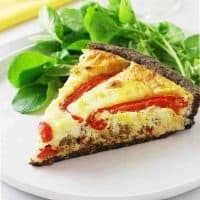 Arrange the strips of pepper in a decorative pattern on top of the parmesan cheese, place the tart on a baking sheet and transfer to the preheated oven. 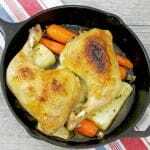 Bake for 45 minutes and a golden brown. Transfer to a cooling rack and when cool enough to handle remove the ring from the pan and slide the tart onto a serving plate. Serve warm or at room temperature. This looks incredible. I love chorizo. 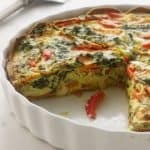 I am pinning this now to make for breakfast this week! So many gorgeous flavours going on here. Love the herb crust. Oh, yes, Georgia….all good tasting flavors! I LOVE that you touched on the buckwheat as much as you did and I had no idea there was a gluten-free buckwheat flour!! So thank you! I’m gluten free so this is a great alternative for me! Looks delish!! This looks AMAZING Dahn! I`m a huge lover of chorizo & can`t wait to give this a try! Thanks for the GREAT recipes! !